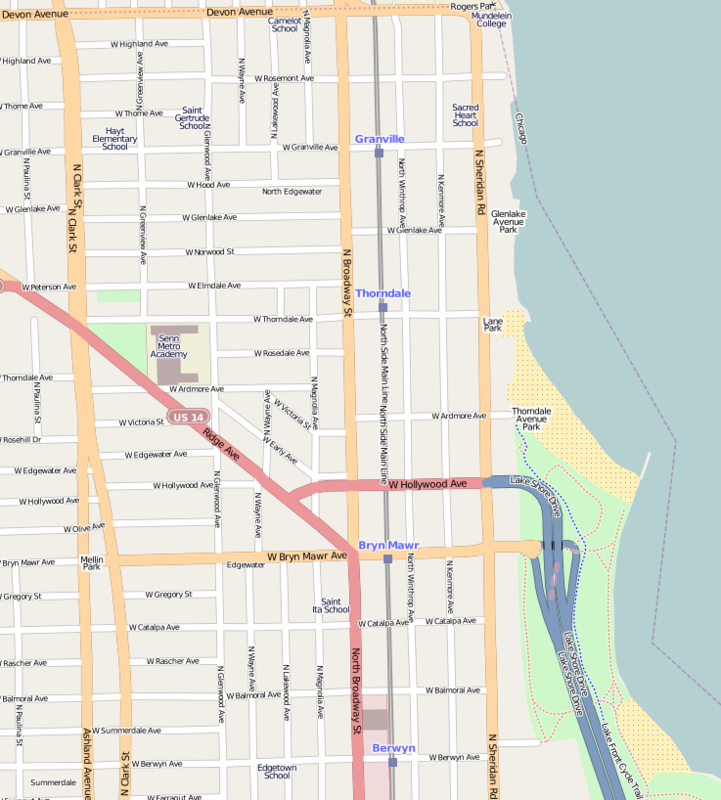 We have served the best pizza in Edgewater Chicago for close to 50 years. Villa Palermo’s pizza uses only the best ingredients prepared fresh daily! Why is Villa Palermo’s pizza better? Just ask our satisfied Edgewater customers! We take extra effort to ensure that our pizza is made using quality ingredients and by seasoned professionals. Residents of Edgewater can enjoy our entire menu seven days a week. Customers can eat in the restaurant or experience Villa Palermo at home via pickup or delivery. We also offer online ordering for Edgewater residents. Order from our full menu, including, pizza, pastas, and sandwiches at great prices. Call (773) 465-5400 to order today! Villa Palermo offers a selection of delicious pizzas to the Edgewater Chicago area. The Villa Palermo Special includes cheese, robust and savory sausage, earthy mushrooms, onions, ripe green peppers, and premium pepperoni. Our BBQ Chicken Pizza is topped with cheese, juicy grilled chicken, freshly chopped red onions, cilantro, and our sweet and tangy BBQ Sauce. Throw your taste buds a fiesta with our Taco Pizza. Loaded with cheddar cheese, premium ground beef, hot and tangy salsa, black olives & juicy jalapeno peppers, this Villa Palermo favorite never fails to please. Our Vegetarian Pizza is a fan favorite amongst happy customers. With cheese, earthy mushrooms, crisp spinach, sweet sliced tomatoes, ripe green peppers, and onions, you can’t go wrong! Villa Palermo’s expansive list of fresh toppings! At Villa Palermo, we’re in the business great food at even greater prices. That’s why we offer residents in the Edgewater area fantastic discounts on our pizza and other spectacular items on our menu. We offer a dollar off orders over $10, $1.50 off on orders $15 or over, and $3 off for orders above $25. Get a free liter of soda with a purchase of $18 or more (not including tax or delivery charge). Villa Palermo also offers 10% off catering orders over $100. Be sure to mention the promotion when placing your order. Unfortunately, coupons are limited to one per food order and are not valid with any other promotion. Food orders must exceed the required amount before tax and other fees. For more information on our catering options, click here. 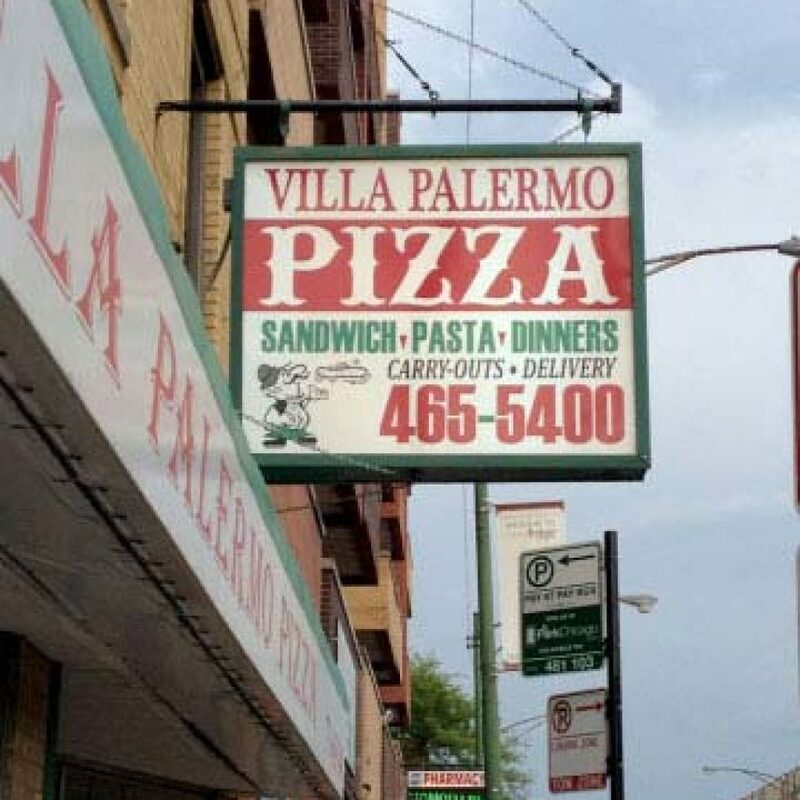 Villa Palermo is committed to serving the best pizza and authentic Italian cuisine in the Edgewater neighborhood and have been for close to 50 years. Customers have come from around the state and country to eat our delicious pizza. Villa Palermo is open Sundays 11:00 am to 1:00 pm, Monday to Thursday 3:30 pm to 1:00 am, and Friday’s and Saturday’s 11:00 am to 2:00 am. We’re open into the early morning hours and are on call to provide the perfect fuel for a late night! Our catering services are available daily and we’re happy to provide volume discounts on pizza orders! Looking for more ways to save some green? Check out our homepage to view our daily specials! Villa Palermo’s accepts all major credit cards. Remember – final orders must be placed more than 15 minutes of closing time! Call us at (773) 465-5400 to order pizza or any of Villa Palermo’s additional tempting menu items today. Click here to learn more about catering options from Villa Palermo and click here to order online!